The RDS program, by its very nature, is complex. It requires sufficient resources and analytics to ensure accuracy and efficiency. Each year Reopenings are submitted to the Centers for Medicaid and Medicare Services (CMS). These Reopenings are an opportunity to increase subsidy dollars. Below is a list of the most common reasons Plan Sponsors might submit a Reopening. Insufficient Staff and/or Resources to Administer RDS Program Activities Having insufficient staff can result difficulty with managing all tasks associated with the Program, causing a loss of subsidy dollars. A Reopening will allow you to properly manage the details of your Program in order to capture the largest population of RDS Medicare Eligible Members. Overlooked Disabled Retirees and Members It’s easy to overlook subscribers and spouses or dependents who are under 65 but may have been excluded from reporting. Omitting them can negatively affect your subsidy amounts. A Reopening allows you to make these corrections. Missing Initial Medicare Eligibility Dates for Newly Eligible Members The complexity of the RDS program can make it challenging to stay on top of eligibility dates. The Reopening process allows you to double check dates, optimize claims and ensure eligibility. Not Accurately Reporting Mid-Year Rx Plan Changes It is important to review changes made to Rx plans during the RDS plan year. In preparing a Reopening, reviews of plan coverage dates are identified and added to previously reported coverage dates. This ensures the effective capture of all claims activity, for all plans, resulting in improved subsidy totals. Overlooking Previously Rejected Members That Are Medicare-Eligible During the course of a plan year you may have missed previously rejected members that are RDS eligible. Reopenings provide in-depth reviews of member counts and allow you to add members who were originally rejected and thus improve your subsidy totals. Incorrect Identification of Medicare Part D Drugs It’s common for the Medicare Part D eligibility status of certain drugs to change. Working with vendors and PBMs during Reopenings allows us to review all claims data and identify missing Part D drugs, which can effectively boost Gross Rx claims submissions and the related subsidy. Excluded Drugs That Were Administered in a Medical Setting as Part of the RDS Program Drugs that are administered in a medical setting (hospitals, doctors’ offices, nursing homes) may be considered RDS eligible. These drugs are often not included in the calculation of Gross Rx claims and effectively curtail Retiree Drug Subsidy during normal RDS administration. As part of the Reopening process, these drugs can be recognized as RDS-approved scripts and hence, improve Retiree Drug Subsidy. 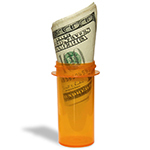 Omitted Rx Cost Elements Another common oversight is the omission of RDS Rx cost elements such as copays, 340B drugs and dispensing fees. Conduct a Reopening to correct these omissions and augment subsidies received. Incorrect Methodology There are many reporting methodologies for the RDS program. A Reopening can provide the opportunity to review all possible methodologies and deploy the one most likely to increase subsidy.